It has been a lucky start of May at Caesars Entertainment Las Vegas Resorts, with three $100,000 or more jackpots hit within two days. 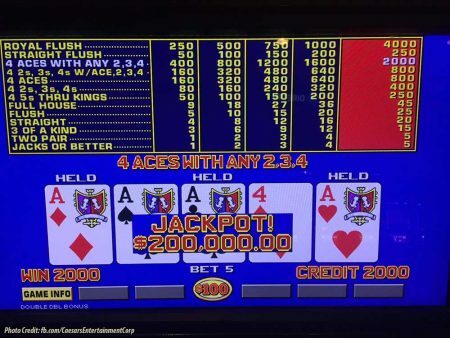 The lucky streak started at Paris Las Vegas on Wednesday, May 3 with a $500,000 jackpot hit after only five minutes of play at a machine. 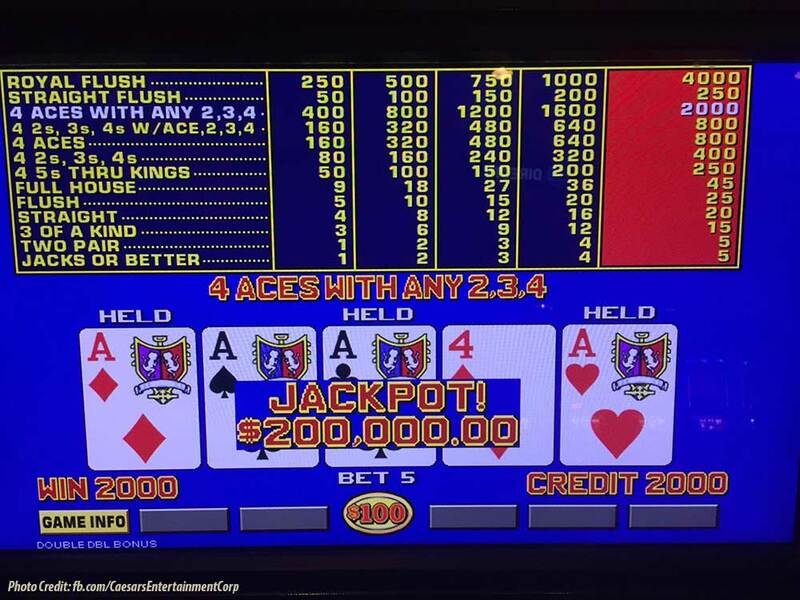 Thursday, May 4 resulted in two more big slot machine wins with a $200,000 Harrah’s Las Vegas jackpot and a Caesars Palace jackpot of $100,000. This spring has brought less showers and more wins with the nearly $1 million in large slot wins this week, coupled with last month’s newest millionaire made at Flamingo Las Vegas. San Diego resident Veera Devabhaktineni hit a $1 million diamond six-card Royal Flush jackpot at the Crazy 4 Poker table on Saturday, April 15. There are a growing number of ways to win and even become a millionaire at Caesars Entertainment resorts nation-wide. Every year the best poker players in the world gather at Rio All-Suite Hotel & Casino for the WSOP® where the winner has been known to take home more than $8 million. Popular slot machines like Wheel of Fortune®, Mega Bucks® and Wizard of Oz® routinely reach multi-million dollar jackpots. Players can win $1 Million in just one hand at table games playing the 6 Card Bonus® wager on Three Card Poker, Let it Ride, Mississippi Stud Poker, Four Card Poker, Crazy 4 Poker, Ultimate Texas Hold’em or Texas Hold’em Bonus. With special events and promotions in a number of key markets Caesars Entertainment is consistently pioneering games to offer players innovative and entertaining ways become the next instant millionaire.